The Roman Republic was the period of the ancient Roman civilization where the government operated as a republic. It began with the overthrow of the Roman monarchy, traditionally dated around 509 BC, and its replacement by a government headed by two consuls, elected annually by the citizens and advised by a senate. A complex constitution gradually developed, centered on the principles of a separation of powers and checks and balances. Except in times of dire national emergency, public offices were limited to one year, so in theory at least, no single individual could dominate his fellow citizens. In practice, Roman society was hierarchical. The evolution of the Constitution of the Roman Republic was heavily influenced by the struggle between Rome's land-holding aristocracy (the patricians), who traced their ancestry back to the early history of the Roman kingdom, and the far more numerous citizen-commoners, the plebeians. Over time, the laws that gave Patricians exclusive rights to Rome's highest offices were repealed or weakened, and a new aristocracy emerged from among the plebeian class. The leaders of the Republic developed a strong tradition and morality requiring public service and patronage in peace and war, meaning that military and political success were inextricably linked. During the first two centuries of its existence the Republic expanded through a combination of conquest and alliance, from central Italy to the entire Italian peninsula. By the following century it included North Africa, the Iberian Peninsula, Greece, and what is now southern France. Two centuries after that, towards the end of the 1st century BC, it included the rest of modern France, and much of the east. By this time, despite the Republic's traditional and lawful constraints against any individual's acquisition of permanent political powers, Roman politics was dominated by a small number of Roman leaders, their uneasy alliances punctuated by a series of civil wars. The final victor in these civil wars, Octavian (later Augustus), reformed the Republic as a Principate, with himself as Rome's "first citizen" (princeps). The Senate continued to sit and debate. Annual magistrates were elected as before, but final decisions on matters of policy, warfare, diplomacy and appointments were privileged to the princeps as "first among equals" (or imperator due to the holding of imperium, from which the term emperor is derived). His powers were monarchic in all but name, and he held them for his lifetime, on behalf of the Senate and people of Rome. The Roman Republic was never restored, but neither was it abolished, so the event that signaled its transition to Roman Empire is a matter of interpretation. Historians have variously proposed the appointment of Julius Caesar as perpetual dictator in 44 BC, the defeat of Mark Antony at the Battle of Actium in 31 BC, and the Roman Senate's grant of extraordinary powers to Octavian (Augustus) under the first settlement in 27 BC, as candidates for the defining pivotal event ending the Republic. Many of Rome's legal and legislative structures can still be observed throughout Europe and the rest of the world by modern nation state and international organizations. The Romans' Latin language has influenced grammar and vocabulary across parts of Europe and the world. The Constitution of the Roman Republic was a set of guidelines and principles passed down mainly through precedent.The constitution was largely unwritten, uncodified, and constantly evolving. Rather than creating a government that was primarily a democracy (as was ancient Athens), an aristocracy (as was ancient Sparta), or a monarchy (as was Rome before and, in many respects, after the Republic), the Roman constitution mixed these three elements, thus creating three separate branches of government. The democratic element took the form of the legislative assemblies, the aristocratic element took the form of the Senate, and the monarchical element took the form of the many term-limited consuls. The ultimate source of sovereignty in this ancient republic, as in modern republics, was the demos (people). The People of Rome gathered into legislative assemblies to pass laws and to elect executive magistrates. Election to a magisterial office resulted in automatic membership in the Senate (for life, unless impeached). The Senate managed the day-to-day affairs in Rome, while senators presided over the courts. Executive magistrates enforced the law, and presided over the Senate and the legislative assemblies. A complex set of checks and balances developed between these three branches, so as to minimize the risk of tyranny and corruption, and to maximize the likelihood of good government. However, the separation of powers between these three branches of government was not absolute. Also, there was the frequent usage of several constitutional devices that were out of harmony with the genius of the Roman constitution. A constitutional crisis began in 133 BC, as a result of the struggles between the aristocracy and the common people. This crisis ultimately led to the collapse of the Roman Republic and its eventual subversion into a much more autocratic form of government, the Roman Empire. The Senate of the Roman Republic was a political institution in the ancient Roman Republic. It was not an elected body, but one whose members were appointed by the consuls, and later by the censors. After a magistrate served his term in office, it usually was followed with automatic appointment to the Senate. According to the Greek historian Polybius, our principal source on the Constitution of the Roman Republic, the Roman Senate was the predominant branch of government. Polybius noted that it was the consuls (the highest-ranking of the regular Roman magistrates) who led the armies and the civil government in Rome, and it was the Roman assemblies which had the ultimate authority over elections, legislation, and criminal trials. However, since the Senate controlled money, administration, and the details of foreign policy, it had the most control over day-to-day life. The power and authority of the Senate derived from precedent, the high caliber and prestige of the senators, and the Senate's unbroken lineage, which dated back to the founding of the Republic in 509 BC. Originally the chief-magistrates, the consuls, appointed all new senators. They also had the power to remove individuals from the Senate. Around the year 318 BC, the "Ovinian Plebiscite" (plebiscitum Ovinium) gave this power to another Roman Magistrate, the Roman Censor, who retained this power until the end of the Roman Republic. This law also required the censors to appoint any newly elected Magistrate to the Senate. Thus, after this point in time, election to magisterial office resulted in automatic Senate membership. The appointment was for life, although the Censor could impeach any senator. The Senate directed the magistrates, especially the consuls, in their prosecution of military conflicts. The Senate also had an enormous degree of power over the civil government in Rome. This was especially the case with regards to its management of state finances, as only it could authorize the disbursal of public monies from the treasury. In addition, the Senate passed decrees called senatus consultum, which was officially "advice" from the Senate to a magistrate. While technically these decrees did not have to be obeyed, in practice, they usually were. During an emergency, the Senate (and only the Senate) could authorize the appointment of a Roman dictator. The last ordinary dictator, however, was appointed in 202 BC. After 202 BC, the Senate responded to emergencies by passing the senatus consultum ultimum ("Ultimate Decree of the Senate"), which suspended civil government declared something analogous to martial law. The Legislative Assemblies of the Roman Republic were political institutions in the ancient Roman Republic. According to the contemporary historian Polybius, it was the people (and thus the assemblies) who had the final say regarding the election of magistrates, the enactment of new statutes, the carrying out of capital punishment, the declaration of war and peace, and the creation (or dissolution) of alliances. Under the Constitution of the Roman Republic, the people (and thus the assemblies) held the ultimate source of sovereignty. Since the Romans used a form of direct democracy, citizens, and not elected representatives, voted before each assembly. As such, the citizen-electors had no power, other than the power to cast a vote. Each assembly was presided over by a single Roman Magistrate, and as such, it was the presiding magistrate who made all decisions on matters of procedure and legality. Ultimately, the presiding magistrate's power over the assembly was nearly absolute. The only check on that power came in the form of vetoes handed down by other magistrates. In the Roman system of direct democracy, two primary types of gatherings were used to vote on legislative, electoral, and judicial matters. The first was the Assembly (comitia), which was a gathering that was deemed to represent the entire Roman people, even if it did not contain all of the Roman citizens or, like the comitia curiata, excluded a particular class of Roman citizens (the plebs). The second was the Council (concilium), which was a gathering of citizens of a specific class. In contrast, the Convention was an unofficial forum for communication. 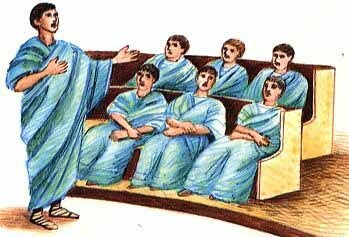 Conventions were simply forums where Romans met for specific unofficial purposes, such as, for example, to hear a political speech. Voters always assembled first into Conventions to hear debates and conduct other business before voting, and then into Assemblies or Councils to actually vote. Citizens were organized on the basis of centuries and tribes. The centuries and the tribes would each gather into their own assemblies. The Comitia Centuriata ("Century Assembly") was the assembly of the centuries. The president of the Comitia Centuriata was usually a consul. The centuries would vote, one at a time, until a measure received support from a majority of the centuries. The Comitia Centuriata would elect magistrates who had imperium powers (consuls and praetors). It also elected censors. Only the Comitia Centuriata could declare war, and ratify the results of a census. It also served as the highest court of appeal in certain judicial cases. The assembly of the tribes, the Comitia Tributa, was presided over by a consul, and was composed of 35 tribes. The tribes were not ethnic or kinship groups, but rather geographical subdivisions. The order that the thirty-five tribes would vote in was selected randomly by lot. Once a measure received support from a majority of the tribes, the voting would end. 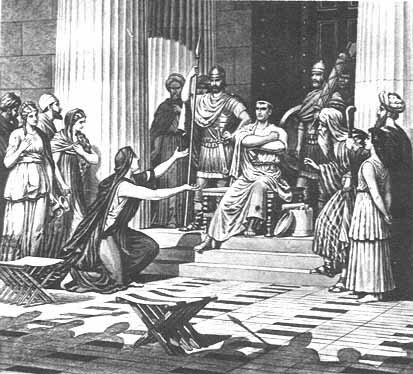 While it did not pass many laws, the Comitia Tributa did elect quaestors, curule aediles, and military tribunes. The Plebeian Council was an assembly of plebeians, the non-patrician citizens of Rome, who would gather into their respective tribes. They elected their own officers, plebeian tribunes and plebeian aediles. Usually a plebeian tribune would preside over the assembly. This assembly passed most laws, and could also act as a court of appeal. Since it was organized on the basis of the tribes, its rules and procedures were nearly identical to those of the Comitia Tributa. The executive magistrates of the Roman Republic were officials of the ancient Roman Republic (c. 510 BC - 44 BC), elected by the People of Rome. Ordinary magistrates (magistratus) were divided into several ranks according to their role and the power they wielded: censors, consuls (who functioned as the regular head of state), praetors, curule aediles, and finally quaestor. Any magistrate could obstruct (veto) an action that was being taken by a magistrate with an equal or lower degree of magisterial powers. By definition, plebeian tribunes and plebeian aediles were technically not magistrates as they were elected only by the plebeians, but no ordinary magistrate could veto any of their actions. Dictator was an extraordinary magistrate normally elected in times of emergency (usually military) for a short period. During this period, the dictator's power over the Roman government was absolute, as they were not checked by any institution or magistrate. Each republican magistrate held certain constitutional powers. Only the People of Rome (both plebeians and patricians) had the right to confer these powers on any individual magistrate. The most powerful constitutional power was imperium. Imperium was held by both consuls and praetors. Imperium gave a magistrate the authority to command a military force. All magistrates also had the power of coercion. This was used by magistrates to maintain public order. While in Rome, all citizens had a judgement against coercion. This protection was called provocatio. Magistrates also had both the power and the duty to look for omens. This power would often be used to obstruct political opponents. One check over a magistrate's power was his collegiality. Each magisterial office would be held concurrently by at least two people. Another check over the power of a magistrate was provocatio. Provocatio was a primordial form of due process. It was a precursor to habeas corpus. If any magistrate was attempting to use the powers of the state against a citizen, that citizen could appeal the decision of the magistrate to a tribune. In addition, once a magistrate's annual term in office expired, he would have to wait ten years before serving in that office again. Since this did create problems for some consuls and praetors, these magistrates would occasionally have their imperium extended. In effect, they would retain the powers of the office (as a promagistrate), without officially holding that office. The consul of the Roman Republic was the highest ranking ordinary magistrate; each consul served for one year. Consuls had supreme power in both civil and military matters. While in the city of Rome, the consuls were the head of the Roman government. They would preside over the senate and the assemblies. While abroad, each consul would command an army. His authority abroad would be nearly absolute. Praetors would administer civil law and command provincial armies. Every five years, two censors would be elected for an eighteen month term. During their term in office, the two censors would conduct a census. During the census, they could enroll citizens in the senate, or purge them from the senate. Aediles were officers elected to conduct domestic affairs in Rome, such as managing public games and shows. The quaestors would usually assist the consuls in Rome, and the governors in the provinces. Their duties were often financial. Since the tribunes were considered to be the embodiment of the plebeians, they were sacrosanct. Their sacrosanctity was enforced by a pledge, taken by the plebeians, to kill any person who harmed or interfered with a tribune during his term of office. All of the powers of the tribune derived from their sacrosanctity. One obvious consequence of this sacrosanctity was the fact that it was considered a capital offense to harm a tribune, to disregard his veto, or to interfere with a tribune. In times of military emergency, a dictator would be appointed for a term of six months. Constitutional government would dissolve, and the dictator would become the absolute master of the state. When the dictator's term ended, constitutional government would be restored. The constitutional history of the Roman Republic can be divided into five phases. The first phase began with the revolution which overthrew the monarchy in 509 BC. The final phase ended with the transition that transformed the Republic into what would effectively be the Roman Empire, in 27 BC. Throughout the history of the Republic, the constitutional evolution was driven by the conflict of the orders between the aristocracy and the ordinary citizens. According to legend, Lucius Tarquinius Superbus was overthrown in 509 BC by a group of noblemen led by Lucius Junius Brutus. Tarquin is said to have made a number of attempts to retake the throne, including the Tarquinian conspiracy, the war with Veii and Tarquinii and finally the war between Rome and Clusium, all of which failed to achieve Tarquin's objectives. The historical monarchy, as the legends suggest, was probably overthrown quickly, but the constitutional changes which occurred immediately after the revolution were probably not as extensive as the legends suggest. The most important constitutional change probably concerned the chief executive. Before the revolution, a king would be elected by the senators for a life term. Now, two consuls were elected by the citizens for an annual term. Each consul would check his colleague, and their limited term in office would open them up to prosecution if they abused the powers of their office. Consular political powers, when exercised conjointly with a consular colleague, were no different from those of the old king. In the immediate aftermath of the revolution, the senate and the assemblies were as powerless as they had been under the monarchy. In 494 BC, the city was at war with two neighboring tribes. The plebeian soldiers refused to march against the enemy, and instead seceded to the Aventine Hill. The plebeians demanded the right to elect their own officials. The patricians agreed, and the plebeians returned to the battlefield. The plebeians called these new officials "plebeian tribunes". The tribunes would have two assistants, called "plebeian aediles". From 375 BC to 371 BC, the republic experienced a constitutional crisis during which the Tribunes of the People used their vetoes to prevent the election of senior magistrates. In 367 BC a law was passed, which required the election of at least one plebeian aedile each year. In 443 BC, the censorship was created, and in 366 BC, the praetorship was created. Also in 366 BC, the curule aedileship was created. Shortly after the founding of the Republic, the Comitia Centuriata ("Assembly of the Centuries") became the principal legislative assembly. In this assembly, magistrates were elected, and laws were passed. During the 4th century BC, a series of reforms were passed. The result of these reforms was that any law passed by the Plebeian Council would have the full force of law. This gave the tribunes (who presided over the Plebeian Council) a positive character for the first time. Before these laws were passed, the only power that the tribunes held was that of the veto. After the plebeian aedileship had been created, the patricians created the curule aedileship. After the consulship had been opened to the plebeians, the plebeians were able to hold both the dictatorship and the censorship. Plebiscites of 342 BC placed limits on political offices; an individual could hold only one office at a time, and ten years must elapse between the end of his official term and his re-election. Further laws attempted to relieve the burden of debt from plebeians by banning interest on loans. In 337 BC, the first plebeian praetor was elected. During these years, the tribunes and the senators grew increasingly close. The senate realized the need to use plebeian officials to accomplish desired goals. To win over the tribunes, the senators gave the tribunes a great deal of power and the tribunes began to feel obligated to the senate. As the tribunes and the senators grew closer, plebeian senators were often able to secure the tribunate for members of their own families. In time, the tribunate became a stepping stone to higher office. Around the middle of the 4th century BC, the Concilium Plebis enacted the "Ovinian Law". During the early republic, only consuls could appoint new senators. The Ovinian law, however, gave this power to the censors. It also required the censor to appoint any newly elected magistrate to the senate. By this point, plebeians were already holding a significant number of magisterial offices. Thus, the number of plebeian senators probably increased quickly. However, it remained difficult for a plebeian to enter the senate if he was not from a well-known political family, as a new patrician-like plebeian aristocracy emerged. The old nobility existed through the force of law, because only patricians were allowed to stand for high office. The new nobility existed due to the organization of society. As such, only a revolution could overthrow this new structure. By 287 BC, the economic condition of the average plebeian had become poor. The problem appears to have centered around widespread indebtedness. The plebeians demanded relief, but the senators refused to address their situation. The result was the final plebeian secession. The plebeians seceded to the Janiculum hill. To end the secession, a dictator was appointed. The dictator passed a law (the "Hortensian Law"), which ended the requirement that the patrician senators must agree before any bill could be considered by the Plebeian Council.This was not the first law to require that an act of the Plebeian Council have the full force of law. The Plebeian Council acquired this power during a modification to the original Valerian law in 449 BC. The significance of this law was in the fact that it robbed the patricians of their final weapon over the plebeians. The result was that control over the state fell, not onto the shoulders of voters, but to the new plebeian nobility. The plebeians had finally achieved political equality with the patricians. However, the plight of the average plebeian had not changed. A small number of plebeian families achieved the same standing that the old aristocratic patrician families had always had, but the new plebeian aristocrats became as uninterested in the plight of the average plebeian as the old patrician aristocrats had always been. The great accomplishment of the Hortensian Law was in that it deprived the patricians of their last weapon over the plebeians. Thus, the last great political question of the earlier era had been resolved. As such, no important political changes would occur between 287 BC and 133 BC. The critical laws of this era were still enacted by the senate. In effect, the plebeians were satisfied with the possession of power, but did not care to use it. The senate was supreme during this era because the era was dominated by questions of foreign and military policy. This was the most militarily active era of the Roman Republic. The final decades of this era saw a worsening economic situation for many plebeians. The long military campaigns had forced citizens to leave their farms to fight, only to return to farms that had fallen into disrepair. The landed aristocracy began buying bankrupted farms at discounted prices. As commodity prices fell, many farmers could no longer operate their farms at a profit. The result was the ultimate bankruptcy of countless farmers. Masses of unemployed plebeians soon began to flood into Rome, and thus into the ranks of the legislative assemblies. Their economic state usually led them to vote for the candidate who offered the most for them. A new culture of dependency was emerging, which would look to any populist leader for relief. The prior era saw great military successes, and great economic failures. The patriotism of the plebeians had kept them from seeking any new reforms. Now, the military situation had stabilized, and fewer soldiers were needed. This, in conjunction with the new slaves that were being imported from abroad, inflamed the unemployment situation further. 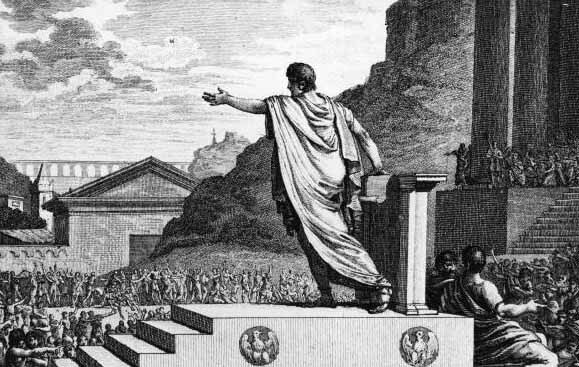 The flood of unemployed citizens to Rome had made the assemblies quite populist. The Crisis of the Roman Republic refers to an extended period of political instability and social unrest that culminated in the demise of the Roman Republic and the advent of the Roman Empire, from about 134 BC to 44 BC. The exact dates of the Crisis are unclear because, "Rome teetered between normalcy and crisis" for many decades. Likewise, the causes and attributes of the crises changed throughout the decades, including the forms of slavery, brigandage, wars internal and external, land reform, the invention of literally excruciating new punishments, the expansion of Roman citizenship, and even the changing composition of the Roman army. Modern scholars also disagree about the nature of the crisis. Traditionally, the expansion of citizenship (with its all rights, privileges, and duties) was looked upon negatively by Sallust, Gibbon, and others of their schools, because it caused internal dissension, disputes with Rome's Italian allies, slave revolts, and riots. However, today's scholars point out that the whole purpose of the Republic was to be res publica - the essential thing of the people - and thus poor people can not be blamed for trying to redress their legitimate and legal grievances. Tiberius Gracchus was elected tribune in 133 BC. He attempted to enact a law which would have limited the amount of land that any individual could own. The aristocrats, who stood to lose an enormous amount of money, were bitterly opposed to this proposal. Tiberius submitted this law to the Plebeian Council, but the law was vetoed by a tribune named Marcus Octavius. Tiberius then used the Plebeian Council to impeach Octavius. The theory, that a representative of the people ceases to be one when he acts against the wishes of the people, was counter to Roman constitutional theory. If carried to its logical end, this theory would remove all constitutional restraints on the popular will, and put the state under the absolute control of a temporary popular majority. His law was enacted, but Tiberius was murdered when he stood for reelection to the tribunate. Tiberius' brother Gaius was elected tribune in 123 BC. Gaius Gracchus' ultimate goal was to weaken the senate and to strengthen the democratic forces. In the past, for example, the senate would eliminate political rivals either by establishing special judicial commissions or by passing a senatus consultum ultimum ("ultimate decree of the senate"). Both devices would allow the Senate to bypass the ordinary due process rights that all citizens had. Gaius outlawed the judicial commissions, and declared the senatus consultum ultimum to be unconstitutional. Gaius then proposed a law which would grant citizenship rights to Rome's Italian allies. By this point, however, a part of Rome deserted him. He stood for election to a third term in 121 BC, but was defeated and then murdered. The senate was weakened significantly. In 118 BC, King Micipsa of Numidia (current-day Algeria and Tunisia) died. He was survived by two legitimate sons, Adherbal and Hiempsal, and an illegitimate son, Jugurtha. Micipsa divided his kingdom between these three sons. Jugurtha, however, turned on his brothers, killing Hiempsal and driving Adherbal out of Numidia. Adherbal fled to Rome for assistance, and initially Rome mediated a division of the country between the two brothers. Eventually, Jugurtha renewed his offensive, leading to a long and inconclusive war with Rome. He also bribed several Roman commanders, and at least two tribunes, before and during the war. His nemesis, Gaius Marius, a legate from a virtually unknown provincial family, returned from the war in Numidia and was elected consul in 107 BC over the objections of the aristocratic senators. Marius invaded Numidia and brought the war to a quick end, capturing Jugurtha in the process. The apparent incompetence of the Senate, and the brilliance of Marius, had been put on full display. The populares party took full advantage of this opportunity by allying itself with Marius. Several years later, in 88 BC, a Roman army was sent to put down an emerging Asian power, king Mithridates of Pontus. The army, however, was defeated. One of Marius' old quaestors, Lucius Cornelius Sulla, had been elected consul for the year, and was ordered by the senate to assume command of the war against Mithridates. Marius, a member of the "populares" party, had a tribune revoke Sulla's command of the war against Mithridates. Sulla, a member of the aristocratic ("optimates") party, brought his army back to Italy and marched on Rome. Sulla was so angry at Marius' tribune that he passed a law intended to permanently weaken the tribunate. He then returned to his war against Mithridates. With Sulla gone, the populares under Marius and Lucius Cornelius Cinna soon took control of the city. During the period in which the populares party controlled the city, they flouted convention by re-electing Marius consul several times without observing the customary ten year interval between offices. They also transgressed the established oligarchy by advancing unelected individuals to magisterial office, and by substituting magisterial edicts for popular legislation. Sulla soon made peace with Mithridates. In 83 BC, he returned to Rome, overcame all resistance, and recaptured the city. Sulla and his supporters then slaughtered most of Marius' supporters. Sulla, having observed the violent results of radical popular reforms, was naturally conservative. As such, he sought to strengthen the aristocracy, and by extension the senate. Sulla made himself dictator, passed a series of constitutional reforms, resigned the dictatorship, and served one last term as consul. He died in 78 BC. In 77 BC, the senate sent one of Sulla's former lieutenants, Gnaeus Pompeius Magnus ("Pompey the Great"), to put down an uprising in Spain. By 71 BC, Pompey returned to Rome after having completed his mission. 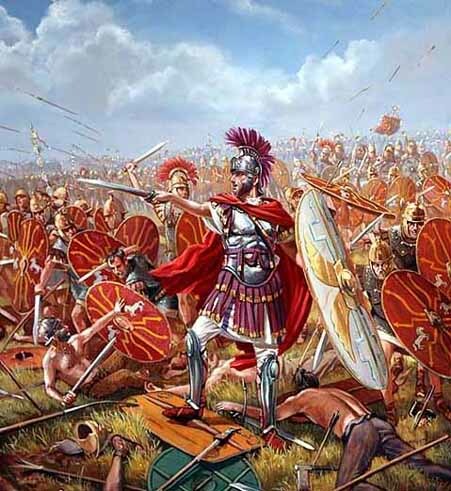 Around the same time, another of Sulla's former lieutenants, Marcus Licinius Crassus, had just put down the Spartacus led gladiator/slave revolt in Italy. Upon their return, Pompey and Crassus found the populares party fiercely attacking Sulla's constitution. They attempted to forge an agreement with the populares party. If both Pompey and Crassus were elected consul in 70 BC, they would dismantle the more obnoxious components of Sulla's constitution. The two were soon elected, and quickly dismantled most of Sulla's constitution. Around 66 BC, a movement to use constitutional, or at least peaceful, means to address the plight of various classes began. After several failures, the movement's leaders decided to use any means that were necessary to accomplish their goals. The movement coalesced under an aristocrat named Lucius Sergius Catilina. The movement was based in the town of Faesulae, which was a natural hotbed of agrarian agitation. The rural malcontents were to advance on Rome, and be aided by an uprising within the city. After assassinating the consuls and most of the senators, Catiline would be free to enact his reforms. The conspiracy was set in motion in 63 BC. The consul for the year, Marcus Tullius Cicero, intercepted messages that Catiline had sent in an attempt to recruit more members. As a result, the top conspirators in Rome (including at least one former consul) were executed by authorisation (of dubious constitutionality) of the senate, and the planned uprising was disrupted. Cicero then sent an army, which cut Catiline's forces to pieces. In 62 BC, Pompey returned victorious from Asia. The Senate, elated by its successes against Catiline, refused to ratify the arrangements that Pompey had made. Pompey, in effect, became powerless. Thus, when Julius Caesar returned from a governorship in Spain in 61 BC, he found it easy to make an arrangement with Pompey. Caesar and Pompey, along with Crassus, established a private agreement, now known as the First Triumvirate. Under the agreement, Pompey's arrangements would be ratified. Caesar would be elected consul in 59 BC, and would then serve as governor of Gaul for five years. Crassus was promised a future consulship. Caesar became consul in 59 BC. His colleague, Marcus Calpurnius Bibulus, was an extreme aristocrat. Caesar submitted the laws that he had promised Pompey to the assemblies. Bibulus attempted to obstruct the enactment of these laws, and so Caesar used violent means to ensure their passage. Caesar was then made governor of three provinces. He facilitated the election of the former patrician Publius Clodius Pulcher to the tribunate for 58 BC. Clodius set about depriving Caesar's senatorial enemies of two of their more obstinate leaders in Cato and Cicero. Clodius was a bitter opponent of Cicero because Cicero had testified against him in a sacrilege case. Clodius attempted to try Cicero for executing citizens without a trial during the Catiline conspiracy, resulting in Cicero going into self-imposed exile and his house in Rome being burnt down. Clodius also passed a bill that forced Cato to lead the invasion of Cyprus which would keep him away from Rome for some years. Clodius also passed a bill that gave the populace a free grain dole, which had previously just been subsidized. Clodius formed armed gangs that terrorized the city and eventually began to attack Pompey's followers, who in response funded counter-gangs formed by Titus Annius Milo. The political alliance of the triumvirate was crumbling. Domitius Ahenobarbus ran for the consulship in 55 BC promising to take Caesar's command from him. Eventually, the triumvirate was renewed at Lucca. Pompey and Crassus were promised the consulship in 55 BC, and Caesar's term as governor was extended for five years. Crassus led an ill-fated expedition with legions led by his son, Caesar's lieutenant, against the Kingdom of Parthia. This resulted in his defeat and death at the Battle of Carrhae. Finally, Pompey's wife, Julia, who was Caesar's daughter, died in childbirth. This event severed the last remaining bond between Pompey and Caesar. Beginning in the summer of 54 BC, a wave of political corruption and violence swept Rome. This chaos reached a climax in January of 52 BC, when Clodius was murdered in a gang war by Milo. On 1 January of 49 BC, an agent of Caesar presented an ultimatum to the senate. The ultimatum was rejected, and the senate then passed a resolution which declared that if Caesar did not lay down his arms by July of that year, he would be considered an enemy of the Republic. On 7 January of 49 BC, the senate passed a senatus consultum ultimum, which vested Pompey with dictatorial powers. Pompey's army, however, was composed largely of untested conscripts. On 10 January, Caesar crossed the Rubicon with his veteran army (in violation of Roman laws) and marched towards Rome. Caesar's rapid advance forced Pompey, the consuls and the Senate to abandon Rome for Greece. Caesar entered the city unopposed. The era that began when Julius Caesar crossed the Rubicon in 49 BC and ended when Octavian returned to Rome after Actium in 29 BC, saw the constitutional evolution of the prior century accelerate at a rapid pace. By 29 BC, Rome had completed its transition from being a city-state with a network of dependencies, to being the capital of a world empire. With Pompey defeated and order restored, Caesar wanted to ensure that his control over the government was undisputed. The powers which he would give himself would ultimately be used by his imperial successors. He would assume these powers by increasing his own authority, and by decreasing the authority of Rome's other political institutions. Caesar would hold both the dictatorship and the tribunate, but alternated between the consulship and the proconsulship. In 48 BC, Caesar was given permanent tribunician powers. This made his person sacrosanct, gave him the power to veto the senate, and allowed him to dominate the Plebeian Council. In 46 BC, Caesar was given censorial powers, which he used to fill the senate with his own partisans. Caesar then raised the membership of the Senate to 900. This robbed the senatorial aristocracy of its prestige, and made it increasingly subservient to him. While the assemblies continued to meet, he submitted all candidates to the assemblies for election, and all bills to the assemblies for enactment. Thus, the assemblies became powerless and were unable to oppose him. Near the end of his life, Caesar began to prepare for a war against the Parthian Empire. Since his absence from Rome would limit his ability to install his own consuls, he passed a law which allowed him to appoint all magistrates in 43 BC, and all consuls and tribunes in 42 BC. This, in effect, transformed the magistrates from being representatives of the people to being representatives of the dictator. Caesar was assassinated in 44 BC. The motives of the conspirators were both personal and political. The assassination was led by Gaius Cassius and Marcus Brutus. Most of the conspirators were senators, many of whom were angry that Caesar had deprived the Senate of much of its power and prestige. Others believed he was a tyrant, abusing his power and clearing a path to absolute rule as a king. 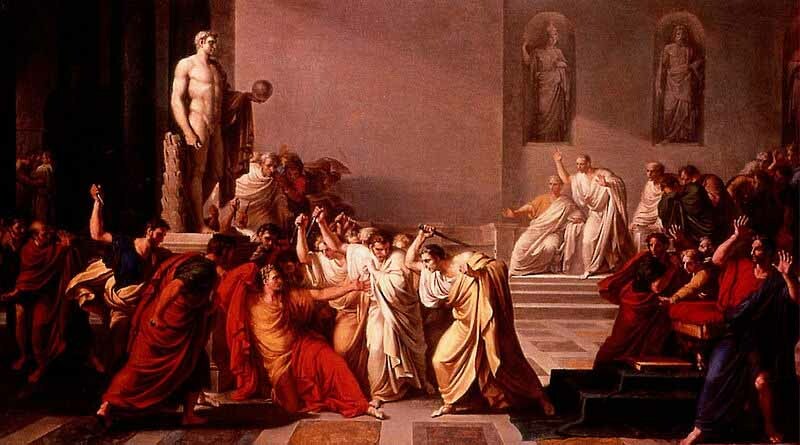 The senators took it upon themselves to destroy Caesar before he made himself invulnerable, and they stabbed Caesar to death in Pompey's theater, where the Senate was meeting on 15 March (44 BC). The civil war that followed destroyed what was left of the Republic. After the assassination, Mark Antony formed an alliance with Caesar's adopted son and great-nephew, Gaius Octavian. Along with Marcus Lepidus, they formed an alliance known as the Second Triumvirate. They held powers that were nearly identical to the powers that Caesar had held under his constitution. As such, the Senate and assemblies remained powerless, even after Caesar had been assassinated. The conspirators were then defeated at the Battle of Philippi in 42 BC. Eventually, however, Antony and Octavian fought against each other in one last battle. Antony was defeated in the naval Battle of Actium in 31 BC, and he committed suicide with his love, Cleopatra. In 29 BC, Octavian returned to Rome as the unchallenged master of the Empire and later accepted the title of Augustus - "Exalted One" .